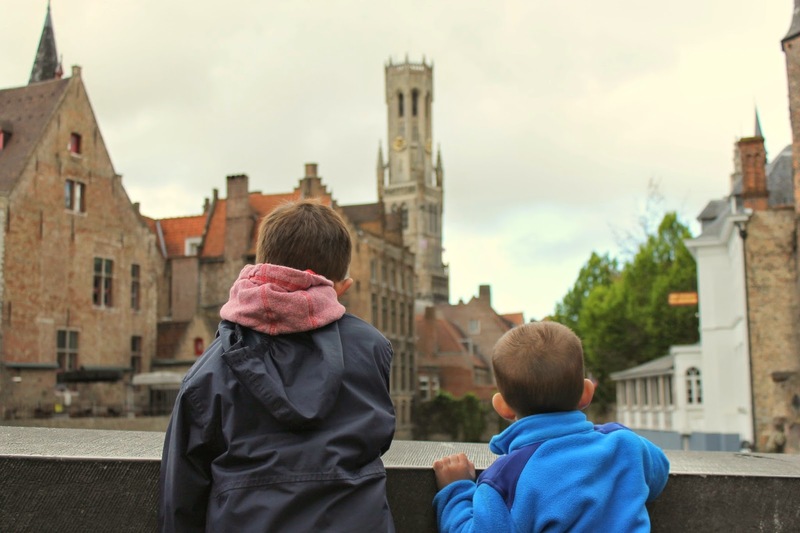 After spending the long Easter weekend in Belgium, we discovered that it holds some of the best of what makes Europe so wonderful and why the continent is such a highly sought after travel destination for people all over the world. In some areas of Belgium, you can barely walk a block without peeking into the windows of a pastry shop or sidewalk café. You can tour breweries, cathedrals and castles. World-class art museums beckon you. Zip around on trains, or take it slow like the locals do on bikes. 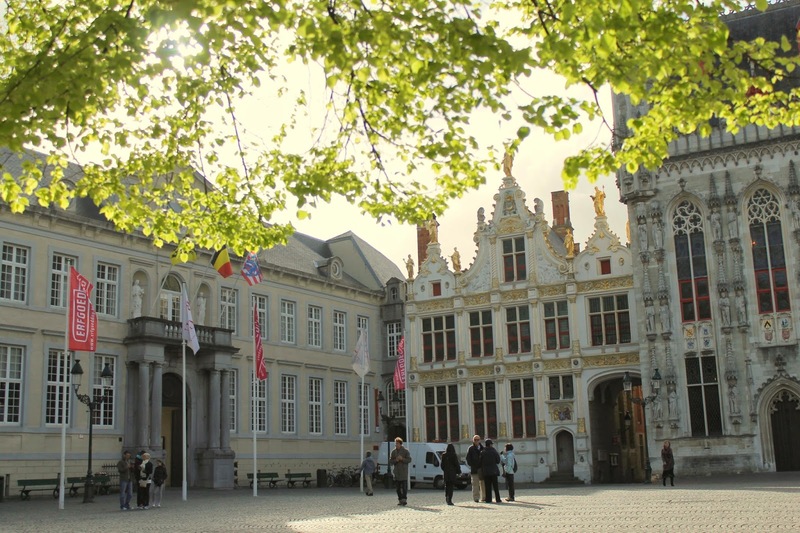 Brush up on your military history, Belgium's got plenty of that. Or just relax on the beach... yes, they have those too. You'll likely even spot a windmill or two. But there was plenty about Belgium that gave it its own vibe, too. Some really fun and delicious specialty food and drink (you've heard of Belgian waffles, right?) I loved the Flemish culture that permeates just over half of the country. We weren't with our rental property's owner for more than a few minutes before he started knocking the French. It's even got its own distinct architectural touch on many of the homes. 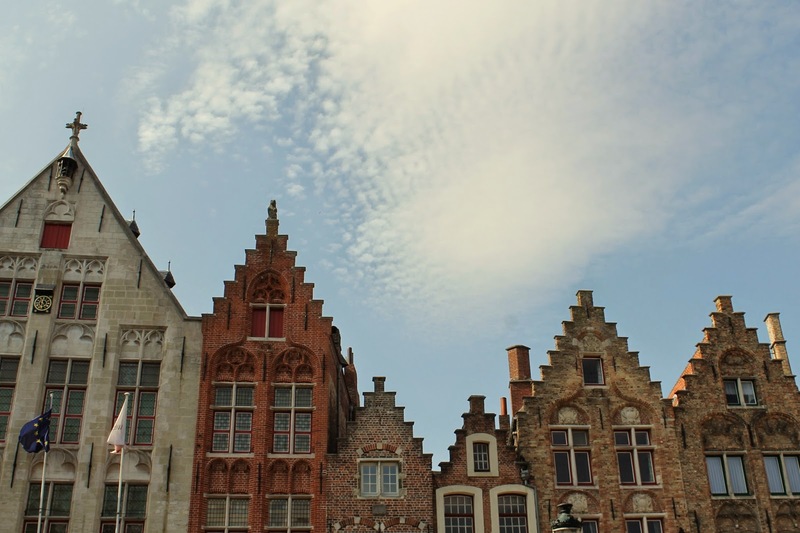 The stepped-style rooflines were everywhere in Bruges and date back to the 16th and 17th century. So at times it seemed I was in Germany. Or Venice. Or France. Or Amsterdam. But I was also uniquely in Belgium, too. Day 1: Arrival in Bruges via Eurotunnel. Evening stroll around the Markt Square. Day 2: Morning: Extensive city walk of Bruges. Evening: More walking around Bruges. Day 3: Morning/Afternoon: Day trip to Ghent. Evening: Walking around Bruges. Day 4: Morning: Drive to coast (Zeebruges). Evening: Canal boat ride around Bruges. Day 5: Depart for Dover, UK via Eurotunnel. Our time in Bruges. So happy we chose this delightful city to base ourselves. Yes, it's touristy, so I'm also thankful we chose a rental property a bit out of the immediate tourist zone. Wandering around in the late afternoon/evenings with no particular destination in mind are some of my favorite memories of the trip. Besides, there's a reason everyone flocks here: it's gorgeous. Our day trip to Ghent was also wonderful. I was worried Bruges and Ghent would be too similar, but they aren't. It was fun to explore an area with a different energy. On our last day in Belgium, we awoke to rain. 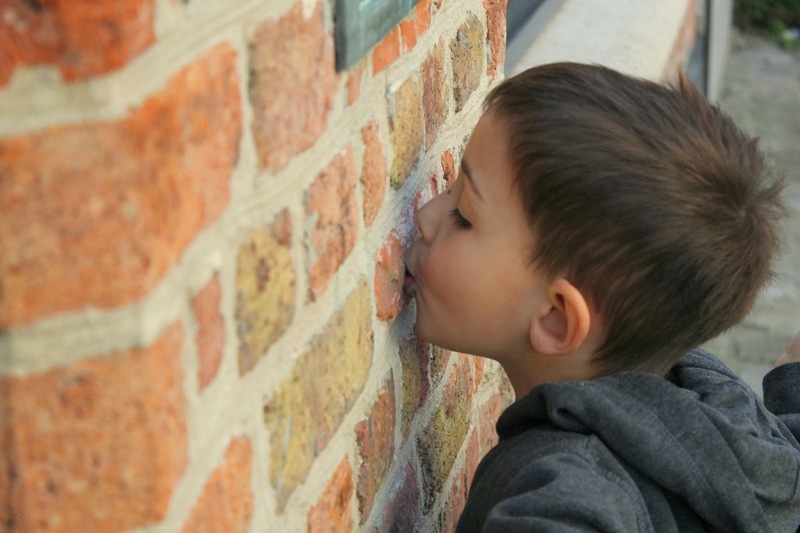 So we drove out to the coast to visit what we heard was a family-friendly maritime museum in Zeebruges. Instead, I would have headed to Brussels for the day. I'm disappointed we didn't have time to experience that city. And the museum was a big flop anyway. The Arrows (5 and 2 1/2) talk about our weekend in Belgium like we took them to Disneyworld. No joke. They loved just about every single thing we did, which kind of surprised me since most of it was not particularly geared toward young children. Just as he was getting in the car on the day we left, Big Arrow hopped back out and ran back to our rental house to give it a kiss goodbye. So sweet. The food certainly helped. Little Arrow was dipping his fries in mayo just like the locals on our very first night in Bruges. I felt like I was constantly wiping chocolate from the corners of their mouths. But I think what I'll remember best about the boys enjoying Belgium was their sense of wonderment. They were eager to turn a corner on some side street, just to see what was around the bend. We couldn't cross a bridge without them asking to peak over the wall to admire the water or the boats down below. They squealed with glee whenever we happened upon a big square, because they both instantly knew that meant we'd stop and let them run around. If you want to come to Europe to see the big sights, then Belgium probably isn't for you. There's no Eiffel Tower, no Houses of Parliament, no Sagrada Familia here. But if you want to come to Europe to feel and experience Europe itself, then consider Belgium. We're really happy we did.